A family campground located on the southwest shore of Long Lake. Provides shaded campsites, picnic tables and fire rings for our outdoor friends. 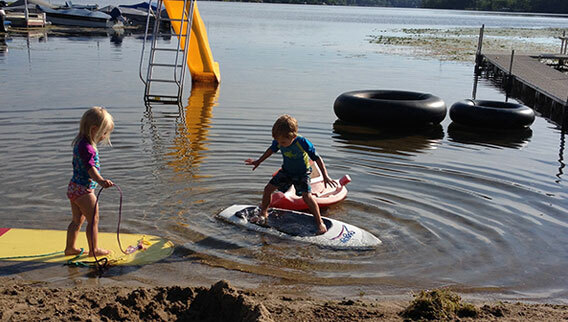 Let the kids swim in a natural spring-fed lake or enjoy a day of boating! © 2018, Hide-Away Campground. All Rights Reserved.